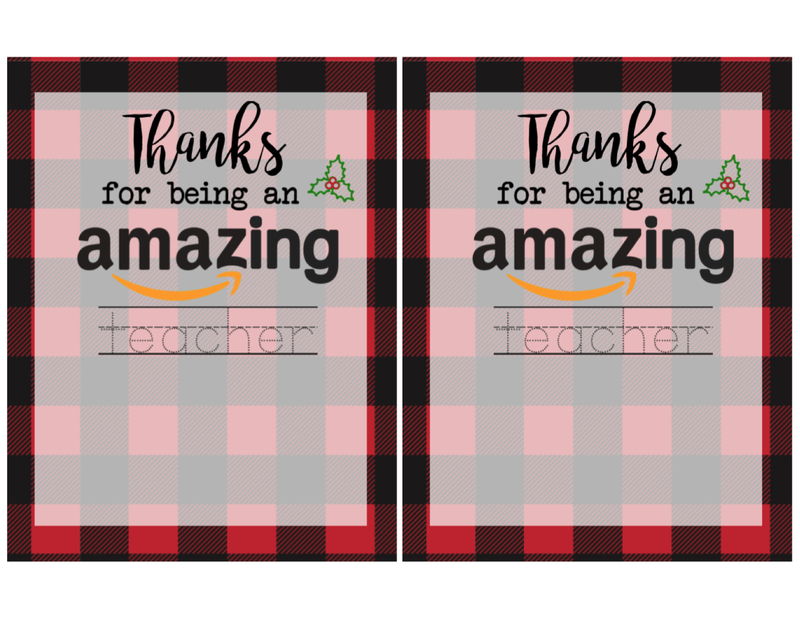 It is the first week of school and I am already excited to give my kids’ teachers these printable Christmas gift card holders with an amazon gift card attached. 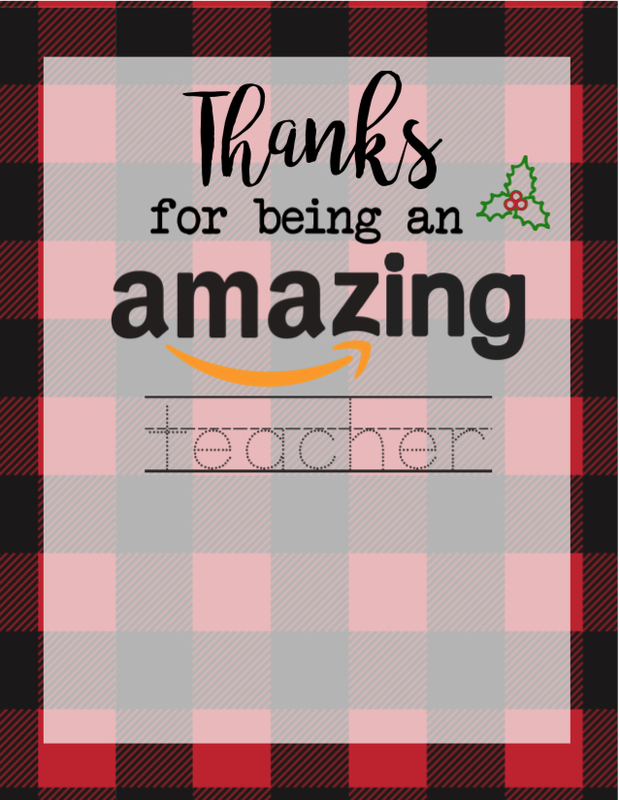 I created these amazon teacher appreciation cards earlier this year and they have become one of my most popular printables to date. 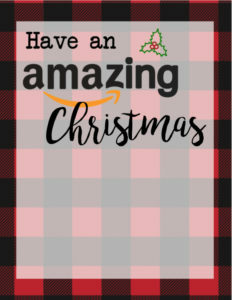 So I figured it would be fun to make you all a fun Christmas version of the amazon card holder to print. 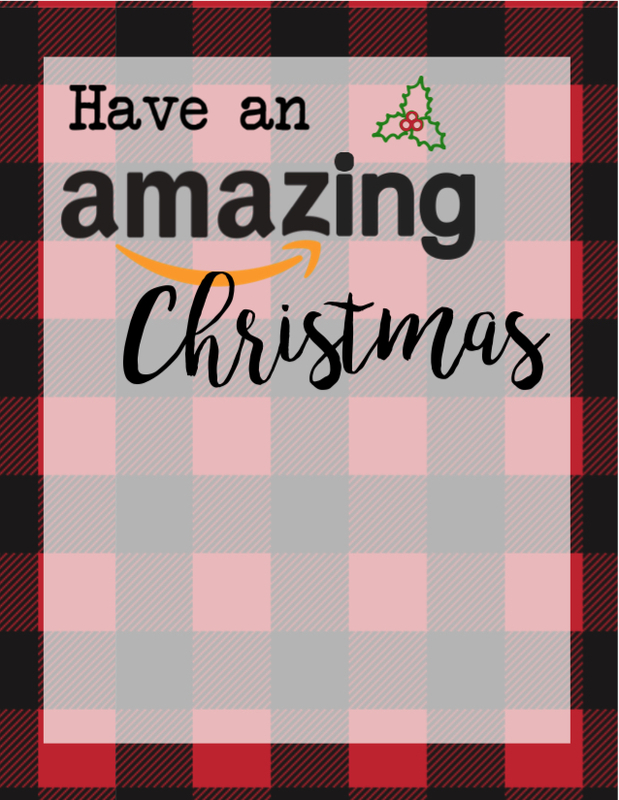 Amazon gift cards have got to be one of the biggest crowd pleasers so these make a perfect gift. I don’t know a single person who doesn’t buy stuff on amazon all the time. 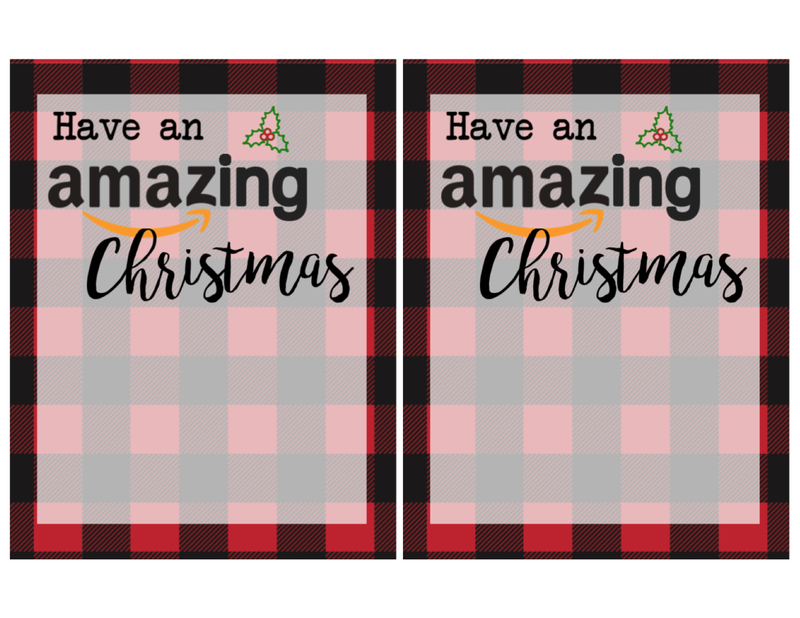 Using a printable Christmas gift card holder makes it a little more fun. 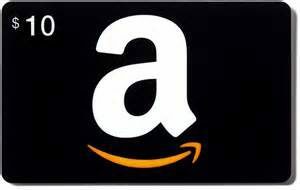 You can order an amazon gift card here with free shipping in amounts as low as $10 depending on the card. If you don’t have enough time to wait for a plastic card in the mail (procrastinators unite!) 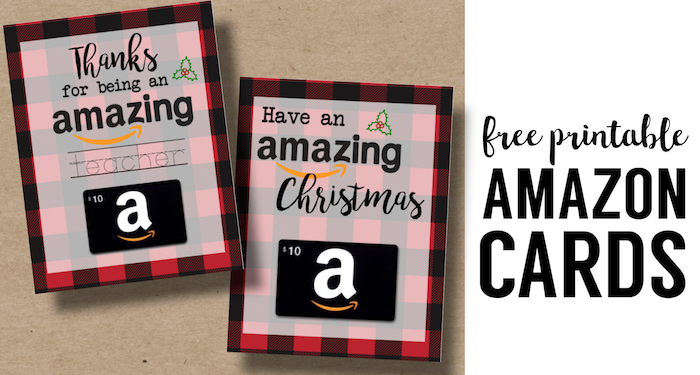 you can print an amazon gift card from here, or you can email an amazon gift card from here. 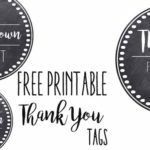 The printable and email gift cards can be in denominations as low as $.50. Although I wonder how many people have used the $.50 option. That seems like a weird amount for a gift card. For best results, download the image to your computer before printing. I find it easiest to drag and drop the image to my desktop. 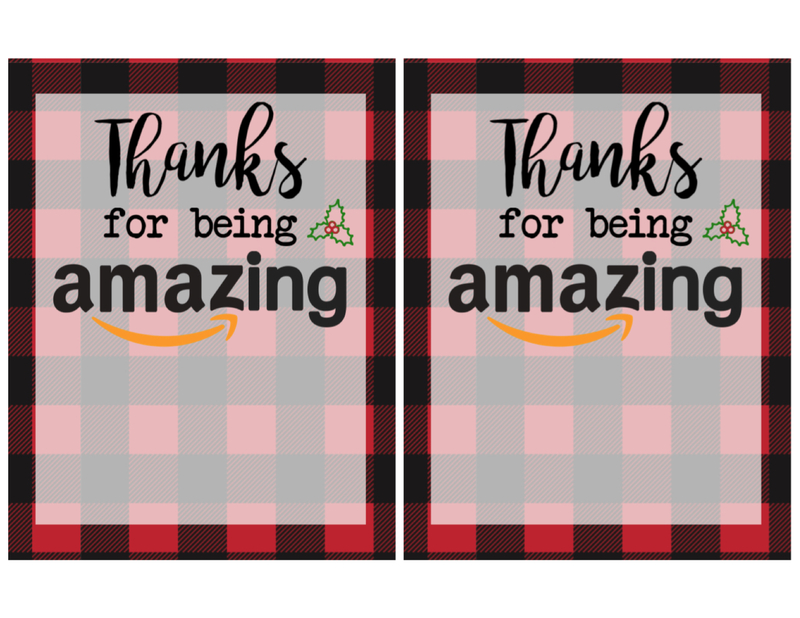 Here are some more basic amazon thank you cards. 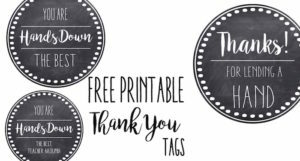 These thank you tags would be great to attach to soap and give to your teacher as a gift. 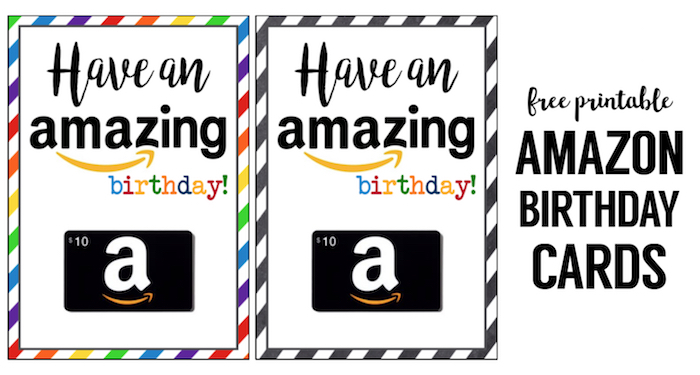 These printable Amazon birthday cards are the perfect birthday present. 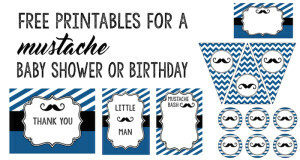 Here’s an example of some of our party pack printables. This mustache party is so much fun! 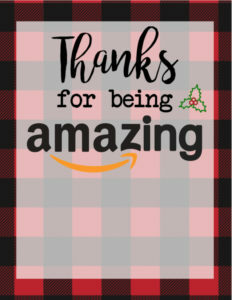 When I click the “Thanks for Being Amazing” card, the only thing that pops up is the “Have an Amazing Christmas” card. Could you send me the correct file? Hi Liz. I can’t believe that has been linking wrong this whole time! I fixed the links to got to the right card. Thank you so much for telling me. I wonder how many people have been frustrated with that. This card is going to save me because I somehow left our miracle of a babysitter off my gift list!! I added a new option to print two to a page. Hopefully that helps! Thanks for the feedback! You are awesome!!! THANK YOU for your help ??? 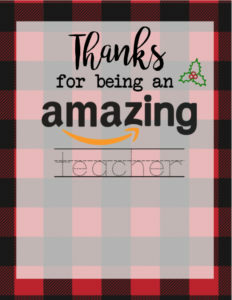 Is there any way you could make one that says “Thanks for being an amazing mother.” Or make it like the teacher appreciation one but leave the dotted line blank? 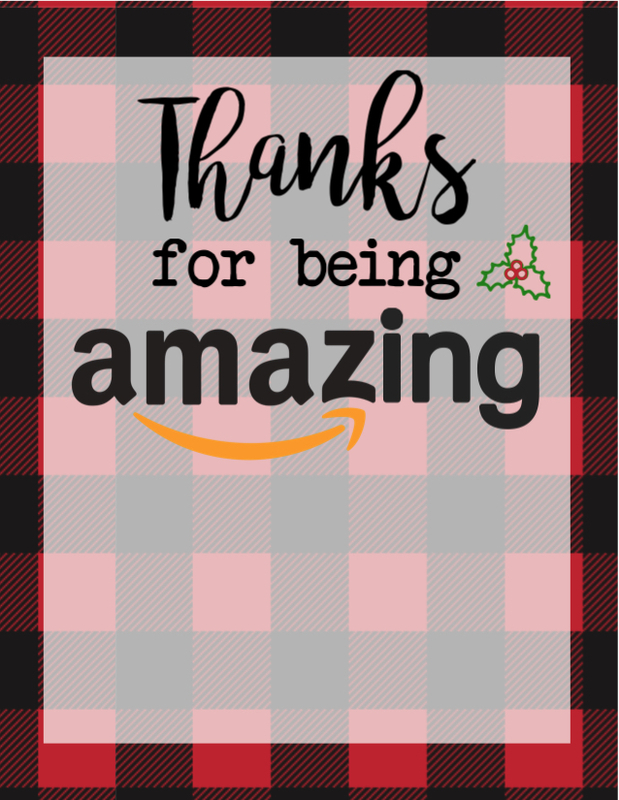 You could use the “Thanks for being amazing” option and write in “an” and “mother” with a sharpie or use picmonkey.com to edit it.